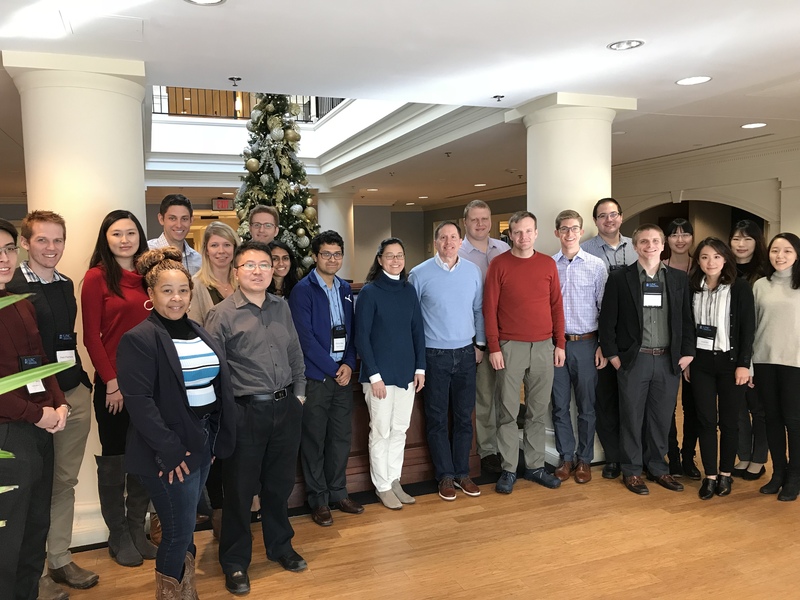 Top doctoral students from Chicago, Northwestern, Harvard, Penn, Iowa, MIT, Stanford, UNC, Duke, Michigan, Cornell, Arizona State, Texas, and Oulu – Finland came to UNC Kenan-Flagler to learn from leading tax scholars. Edward Maydew, the David E. Hoffman Distinguished Professor of Accounting and Director of the UNC Tax Center, organized the tax seminar. Research sessions were led by UNC professors Jeff Hoopes, Ed Maydew, and Doug Shackelford, Duke professors Scott Dyreng and John Graham, MIT professor Michelle Hanlon, and Penn professor Jennifer Blouin. George Knab from KPMG provided a link to practice and insight into the effects of tax reform.